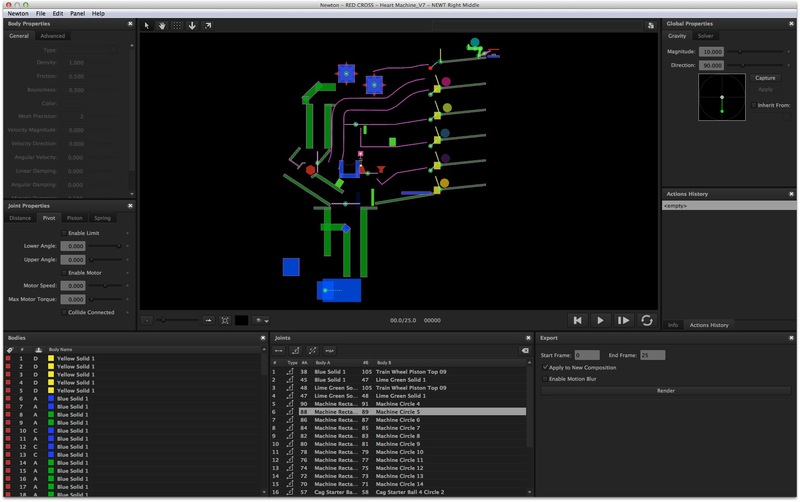 Resolution Media created an amazing animation that uses Newton 2 to create a Rube Goldberg machine which is pretty amazing. We featured it in our inspiration feed and Motion Boutique asked them for a breakdown and they kindly replied. Enjoy! 2. 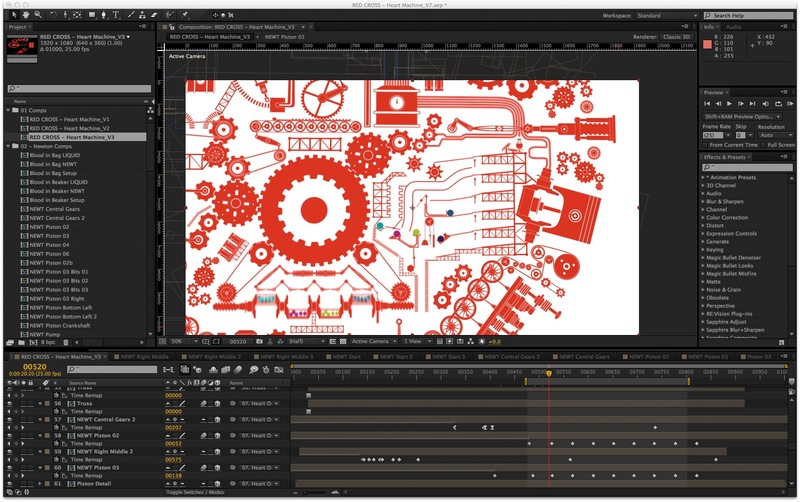 Then to prepare for Newton, we dramatically simplified the composition, creating proxy version of the objects used in the animation. This made it possible to for Newton to calculate our simulations in real time with no errors or glitches. We also created new dummy objects that we hand animation, these wouldn’t be seen in the final composition but they helped ‘guide’ the physics simulation. Ultimately we were creating a something that had to look good, not something that actually functioned, so a lot of little tweaks were made by hand that broke the laws of physics. 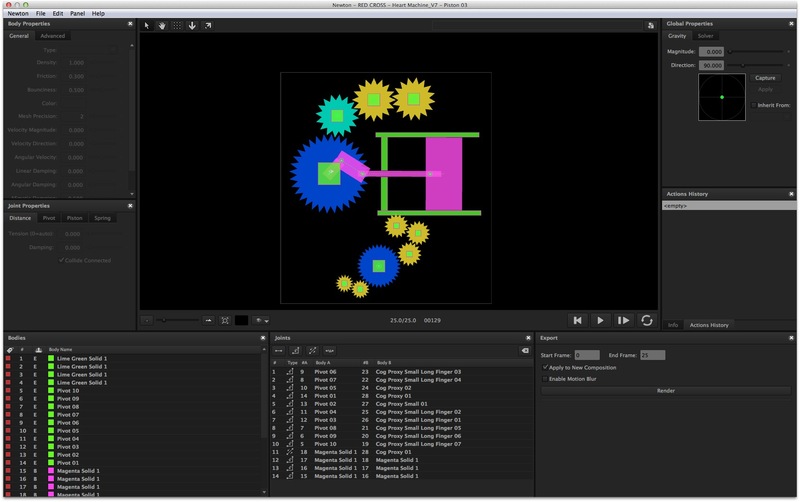 The vast majority of the animation and 100% of the ball animation was created by Newton simulations. 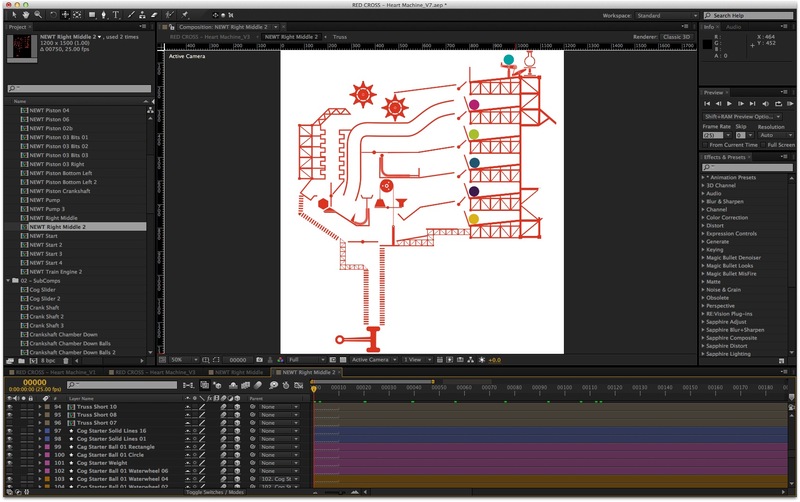 There was a lot of back and forth between After Effects and Newton to get the design right. We found it very easy to ‘test’ a design in Newton, make modifications where needed and then re-test to see if it worked. This was done by linking the complex objects to the proxy objects and then turning the proxy objects off. 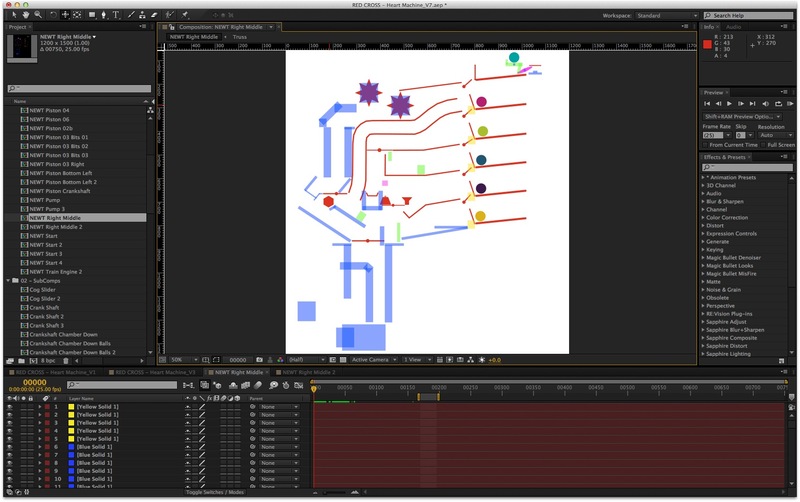 The smaller sections were then all re-timed in the master composition so the animation would flow from one section to the next and time with the voice over. 5. We also found Newton extremely useful when animating cogs and pistons. 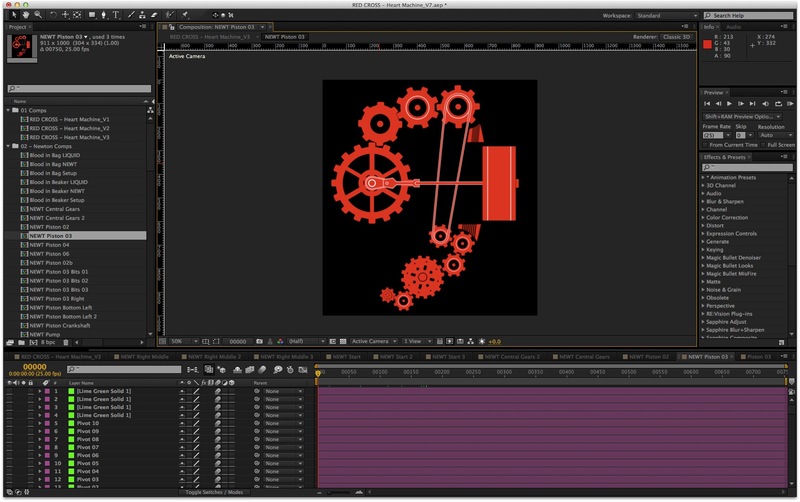 Constant motion of interlinking cogs is easy to animate in AE, but realistic acceleration from a standstill was almost impossible. The same goes for animating a piston or any rigid body machine with a number of moving parts. AE is just not set up for it. We essentially used Newton as an Inverse Kinematics (IK) solver and our workflow was very similar to if we’d been using 3D software. 6. Once again we used proxy and dummy objects. We found the ‘Star’ shape tool in AE very useful for creating proxy objects for the cogs that allowed for much tighter interlocking teeth. We then set up links between in the piston and gave them limits just like an IK solution. Note: We did not use a spring joint in out piston like the Newton tutorial, we had more moving parts and wanted more control.